This video walkthrough of the event engagement app Evant was done after user & design research, prototyping, testing and iteration. 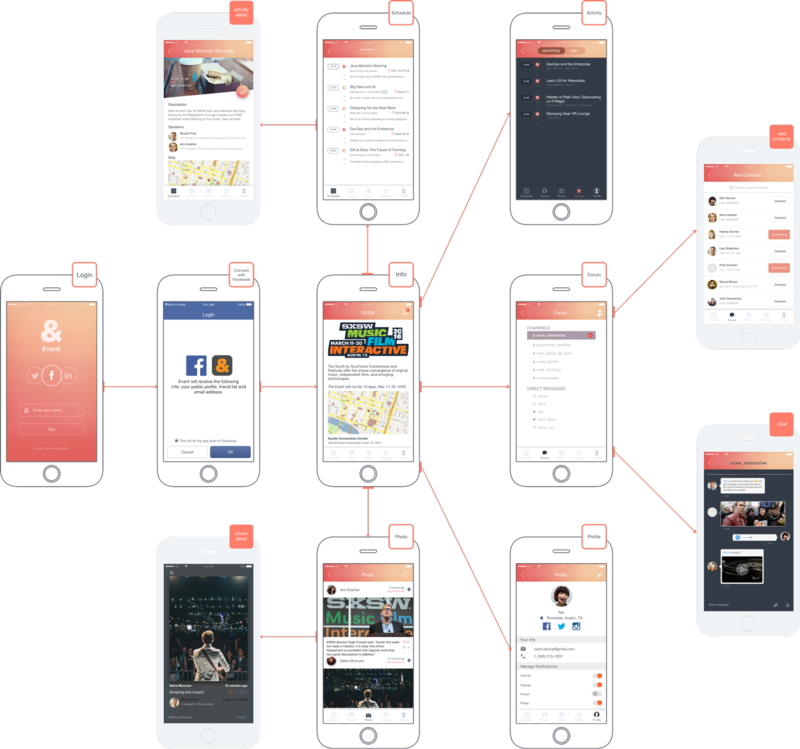 This is a content map showing the pages that exist in the prototyped app. These are iterations of our prototype. 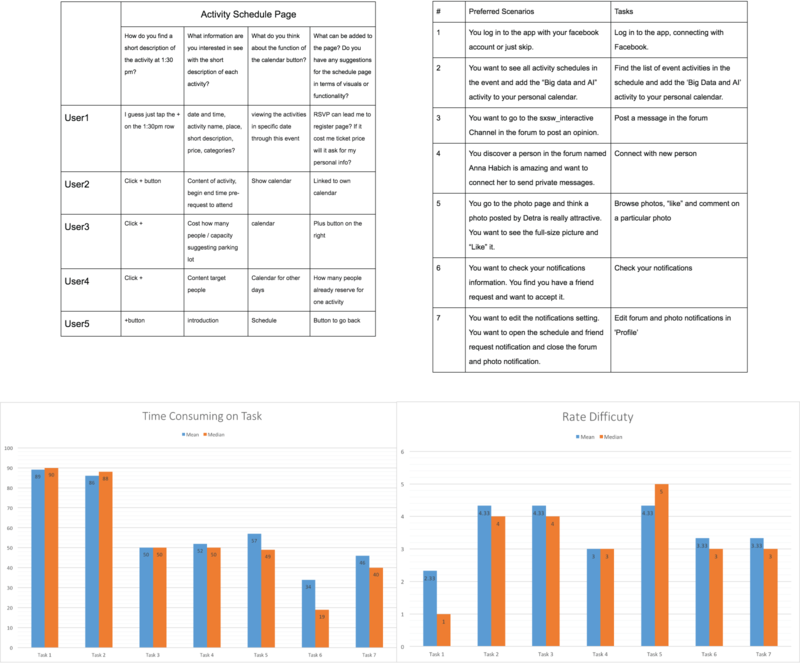 I created the first set in Axure then guided a teammate through mocking up the subsequent screens in Invision after 5 or 6 rounds of user tests. 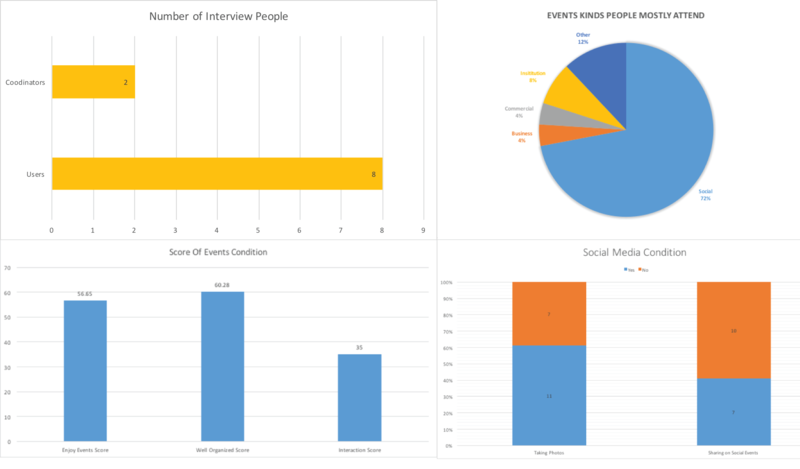 Initial research involved me writing a survey to gather data about users' behavior at events. We did 5 or 6 rounds of user testing on usertesting.com and in person. We regularly updated our prototype based on the feedback. This is a promotional website I developed. 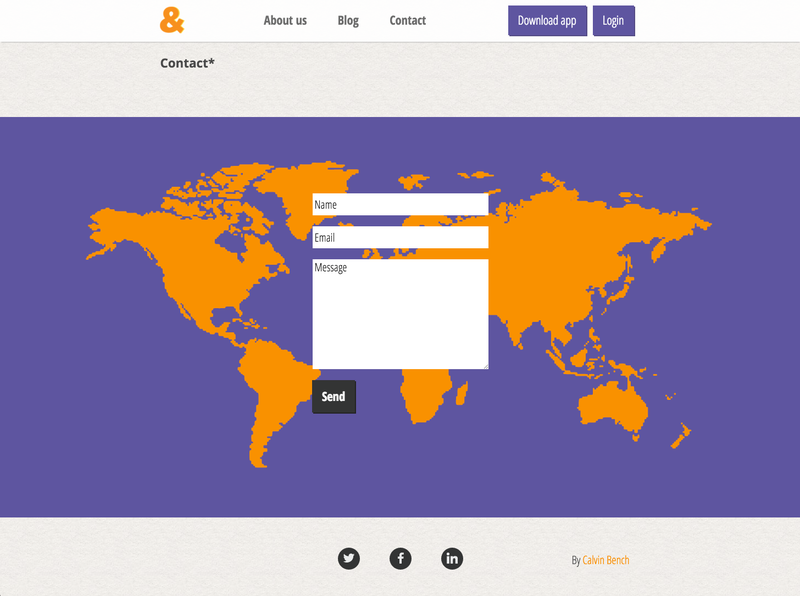 It has custom graphics and web animations.